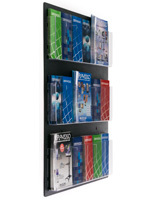 This mounted leaflet rack has three columns and four rows of acrylic pockets for holding publications for customers to peruse while they wait in an office or lobby, or take home with them after their business transaction. 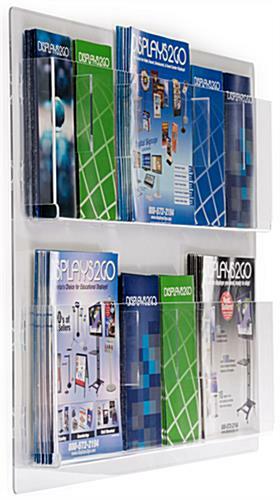 This contemporary unit is made of clear plastic so materials are instantly visible to customers. 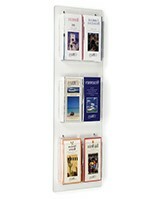 This leaflet rack for commercial use mounts to a wall via pre-made holes and accompanying hardware. 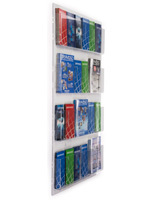 Literature displays such as this one feature adjustable pockets for (6) to (12) brochures, giving you a lot of flexibility! 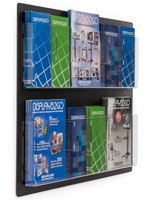 This leaflet rack, such as a magazine holders system allows the user to include combinations of trifolds and magazines at the same time. 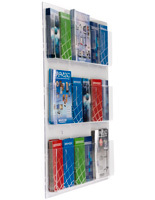 Purchased these for a medical office in which we have various sizes of patient handouts. 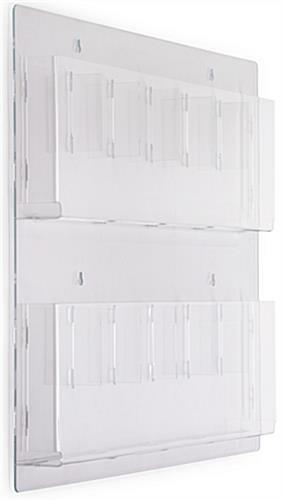 Love the flexibility of this unit. 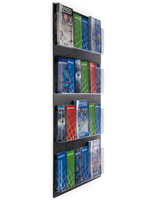 Easy to hang/install and looks great. 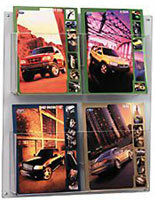 We are very happy with this item and the service. 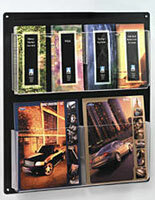 Arrived quickly and in perfect condition.